Humans aren't the only mammals with a sweet tooth. Omnivores from beagles to grizzlies can detect a wide range of flavors and enjoy the taste of sugar. But other mammals with narrow carnivorous diets have been subjected to evolution's "use it or lose it" decree. 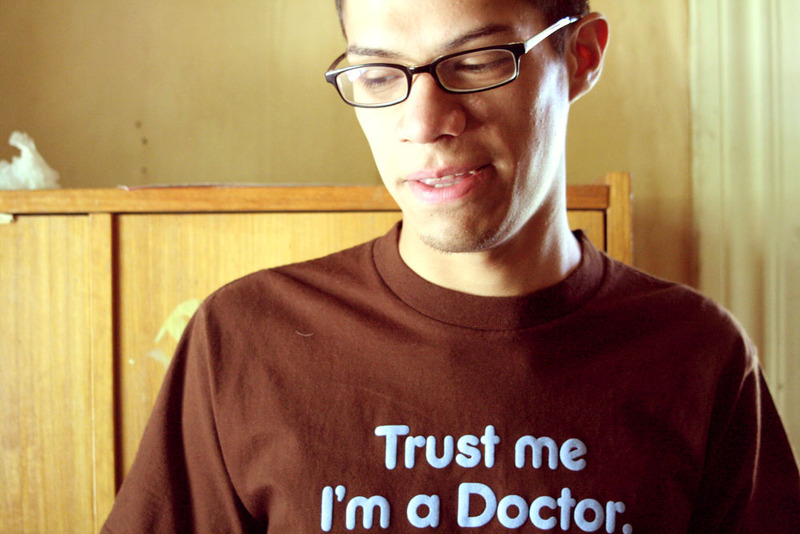 These meat-eaters are genetic mutants without working taste receptors for sweets. Not only do they not want your cupcake, but they can't even taste it. Researchers led by Peihua Jiang at Monell Chemical Senses Center in Philadelphia wanted to know how often evolution has removed tastes from animals' repertoires. Omnivores such as humans can detect five basic tastes: sweet, sour, bitter, salty, and umami (a meaty flavor). Previous studies had shown that cats, though, are indifferent to sweetness. Cats were also known to have a mutation in the gene for the sweet taste receptor, rendering it nonfunctional. Had other carnivores' sweet receptors met the same fate? For 12 carnivore species, the authors sequenced the genome section containing the sweet taste receptor. In just 5 of these species, the gene was intact. These included the aardwolf, Canadian otter, spectacled bear, raccoon, and red wolf. It was presumably not practical to round up all these animals and give them tests to confirm that they like sugar. But the authors were able to test four spectacled bears, a charismatic South American species. When given a choice between a bowl of plain water and a bowl of sugar water, the bears strongly preferred the sugar water. They even enjoyed some artificial sweeteners (Splenda, for instance, but not NutraSweet). The other 7 carnivore species in the study had mutations in their sweet taste receptors. These animals came from widely separated branches of the mammal family tree: sea lion and seals; Asian small-clawed otter; hyena; fossa (a cat-like creature from Madagascar); and banded linsang (a secretive jungle creature from Southeast Asia). 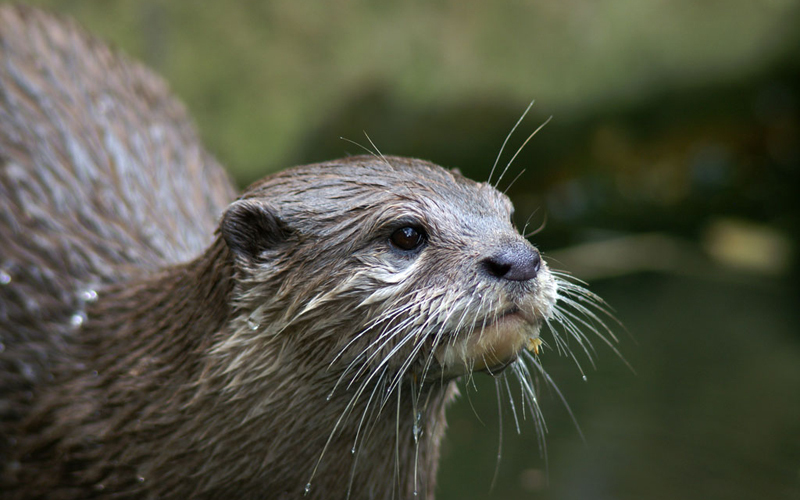 Though, again, the authors didn't recruit any hyenas or jungle cats for their study, they did bring in two Asian small-clawed otters for testing. The otters were given the same bowls of sweetened and unsweetened water that the bears tasted. But the otters were totally indifferent to sugar water. Asian small-clawed otter: No cupcakes. 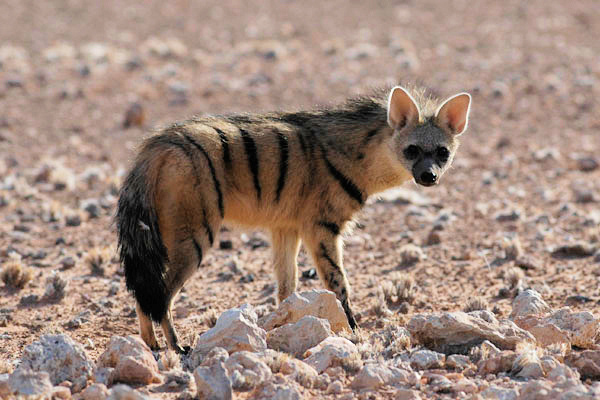 An aardwolf, since you asked: Yes cupcakes, yes termites. Finally, the researchers looked at the dolphin genome, which had been previously published. Not only was the dolphin's sweet taste receptor mutated, but so was the receptor for umami flavor. There seemed to be no intact gene for a bitterness receptor, either. It seems incredible that an animal could be so deficient in tasting. 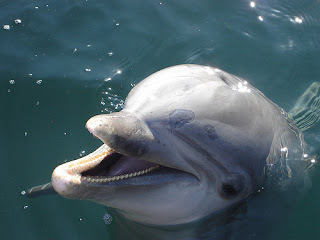 But previous studies have suggested that dolphins can't taste sugar and have a reduced ability to taste bitterness. A close look at their tongues reveals only a few taste bud-like structures. The same is true of the sea lion: It has barely any taste buds, and has a mutated gene for the umami receptor as well as sweet. They wouldn't have much chance to taste their food even if they did have taste buds, though, because neither sea lions nor dolphins chew their prey. They both gulp down fish whole. Dolphin: No cupcakes, no chewing. Despite these similarities, sea lions and dolphins lost their taste separately. Their lineages took to the sea separately and 15 million years apart. Their genetic mutations, too, are different. In fact, out of all the genetic anomalies the researchers found in carnivores' sweet taste receptors, no two mutations were the same. This means that again and again, evolution has removed the ability to taste sugar from carnivores. There must be some cost, then, to keeping unnecessary taste receptors. When animals evolve to consume an all-meat diet, it's better for them to prune their unnecessary tastes. And when they evolve to swallow their food whole, it seems there's not much need to taste anything. Even within close families of mammals, evolution has tweaked individual species' taste receptors as they evolved different diets. 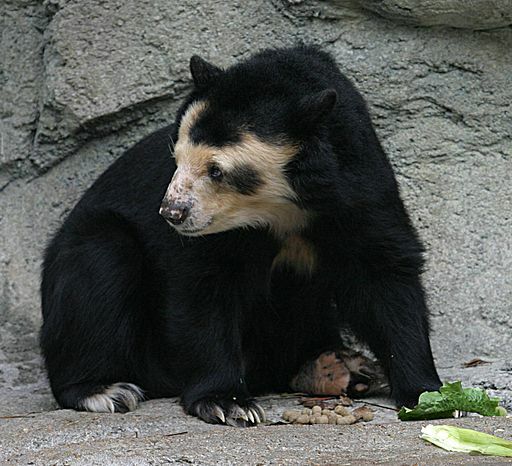 Black bears love raisins but also enjoy insects and fish; panda bears, which only eat bamboo, can't taste umami. Though many bats feed on fruit, the vampire bat only eats blood and can't taste sugar. Taste receptors aren't purely for enjoyment, though. A bitter or sour taste can be our clue that a food is spoiled or toxic. So it's surprising that even the bitter taste receptor, which evolved for our protection, can apparently be thrown away. Maybe when animals have a strictly specialized diet (of fish, or bamboo, or blood) they can rely on their eyes and other senses to ensure they're eating the right thing. But we omnivores have to decide on our diets by taste. It means we must think harder about what we're eating--but it also means we can enjoy every flavor of cupcake. Images: bear Cburnett/Wikimedia Commons; otter Patrick Gijsbers/Wikimedia Commons; aardwolf Dominik Käuferle/Wikimedia Commons; dolphin Just Taken Pics/Flickr. Note: This post was originally titled "Accounting for Taste: Why a Bear, but Not an Otter, Will Steal Your Cupcake." But my attentive husband pointed out that there was a type of otter in the sugar-tasting group, as well as the sugar-ignoring one. I should admit now that I actually don't know whether any of these animals steals pastries. Here's what I've always wanted to know - why do cats love fish? They hate water, but for some reason they can't get enough fish. Does it taste like meat to them? Because to us it tastes nothing like meat, but maybe they can't tell the difference...? My cat will choose the sweet syrup (the syrup drained from canned fruit for example) over the plain water. Why, I wonder? Since sense of smell is different from taste, I'm guessing that the critters that don't taste bitter still have other ways, like smell, to sort out safe from unsafe food.